Nashville, TN -- Country music stars Mo and Holly Pitney and Asleep At The Wheel join Renae The Waitress, Sheriff Jimmy Capps, Keith Bilbrey and hilarious church gossip Nadine this November in ALL-NEW upcoming episodes of “Larry’s Country Diner” airing nationwide on RFD-TV. By popular demand, RFD-TV will revert the show back to its original primetime airtime on Thursdays at 7 p.m. CT / 8 p.m. ET and Saturdays at 10 p.m. CT / 11 p.m. ET beginning November 5. Bluegrass artist Rhonda Vincent hosts on the 12th and 14th and Jeannie Seely hosts on the 5th and 7th shows. Nashville, TN -- Larry’s Country Diner is serving up a star-studded menu of music in March with upcoming appearances by country and bluegrass greats Ricky Skaggs, Janie Price, John Conlee, Jeannie Seely, Billy Dean and Crystal Gayle. Tune in to RFD-TV this month to watch the hit variety show that promises great food, music and laughter from fan-favorite characters Larry Black, Keith Bilbrey, Nadine, Renae The Waitress and Sherriff Jimmy Capps, alongside their special diner guests – some of country music’s biggest stars and legends. Nashville, TN -- Gabriel Communications announces its highly successful television shows, “Larry’s Country Diner” and “Country’s Family Reunion” will, once again, take to the high-seas for a seven-day “down-home” Eastern Caribbean Cruise. Fans can climb aboard the Celebrity Cruise Celebrity Reflection cruise liner January 31st – February 7, 2015, and enjoy entertainment featuring Bill Anderson, Jeannie Seely, Gene Watson, Moe Bandy, Rhonda Vincent & the Rage, TG Sheppard & Kelly Lang, Mo Pitney, Johnny Lee, Mark Wills, Teea Goans and the cast of Larry’s Country Diner. Nashville, TN -- As one of the top-rated shows on the RFD television network, “Larry’s Country Diner” reaches 1.4 million people each and every month. A unique down-home variety show, “Larry’s Country Diner” in just over three short years has become a favorite “eatery” of country fans everywhere. 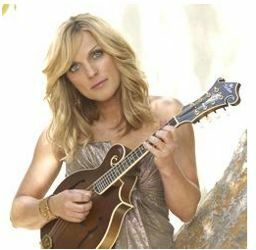 Kicking off the February series on the 7th will be Rhonda Vincent & The Rage. Vincent is an artist at the Top of her game as the most awarded group in bluegrass music with over 80 awards to their credit. Nashville, TN -- There may only be eighteen tables at "Larry's Country Diner," but it serves 1.4 million people each and every month as one of the top-rated shows on the RFD-TV network. The diner is not your ordinary restaurant, but rather a unique down-home variety show that in just over two short years has become a favorite "eatery" of country fans everywhere. Cornbread and black-eyed peas only complement the heapin' helpin' of country music performances served up by the stars of yesterday and today. Nashville, TN --– There may only be eighteen tables at "Larry's Country Diner," but it services 1.4 million people each and every month as one of the top-rated shows on the RFD-TV network. The diner is not your ordinary restaurant, but rather a unique down-home variety show that in just over two short years has become a favorite "eatery" of country fans everywhere. Cornbread and black-eyed peas only complement the heapin' helpin' of country music performances served up by the stars of yesterday and today. 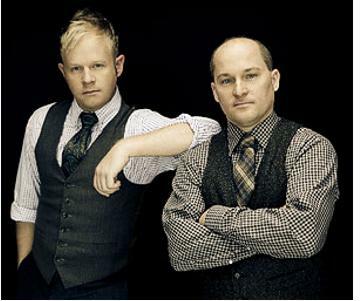 Bluegrass music super-stars Dailey & Vincent will be on the menu April 26th. Nashville, TN (October 26, 2011) -- Lee and Elaine Roy were spotted on the set during an August taping of Larry's Country Diner, and show host Larry Black invited them to perform. "It was totally unexpected," laughs Elaine Roy. "We were really lucky our fiddle player Clint White happened to be with us." Leona Williams was the show's featured guest that day, but the grand lady of Country graciously made way for the Bluegrass/Roots duo.